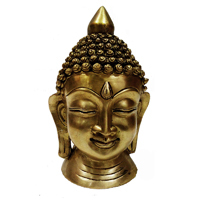 Special Brass Metal Mahatma Buddha Statue can be the ideal way to enhance the look of the home décor while looking classy and pious at the same time. 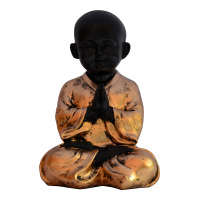 Make your home interior the abode of peace and tranquility with the Meditative Mahatma Buddha Statue in Brass Metal. 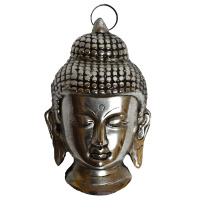 Beautiful Brass Metal Mahatma Buddha Head Statue can be the ideal way to stand out in terms of home décor. 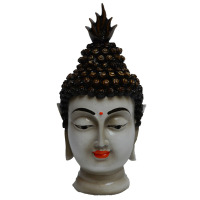 Give regal feeling and touch to your sweet home decor with the extremely classy and stylish polyresin Buddha head. 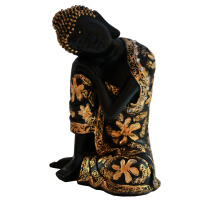 The polyresin resting Buddha on knee is a statue that symbolizes peace and tranquility and would bring your home joy and happiness. 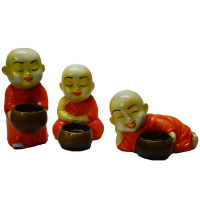 Laughing Buddha is kept in various homes as a symbol of good luck and prosperity. 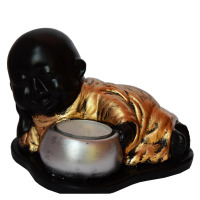 Ehance your household with the status of laughing Buddha made of pure and durable resin fiber. 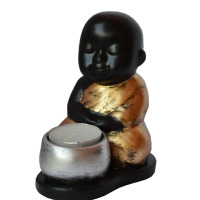 This laughing Buddha is made with various kinds of colors and will help by imparting energy in your homes. 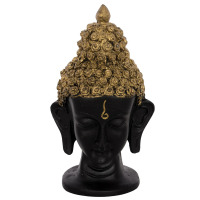 Buddha has always been a motivation for most people and this lovely fiber meditating Buddha is definitely one of the best looking home décor items that you can buy for your home.the idol of Buddha would also help to bring in peace and success in the household.try this out to remove all the obstacles in your life and home forever. 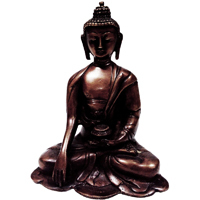 Buddhism is one of the most prevalently practiced religions in the world. 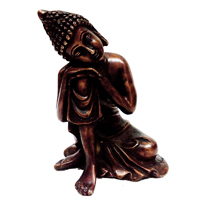 Having started in India almost 2500 years ago, this religion stresses the importance of the teachings of Buddha. 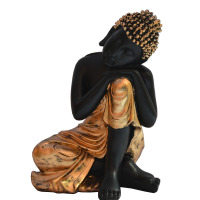 Buddha was once a prince that turned into a revered spiritual leader that spent the duration of his life spreading the truth about peace and life, as well as sharing his secrets to happiness. 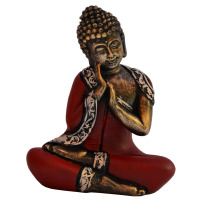 Although he did not claim to be a god, the amount of good that Buddha carried out in the world commanded honor and veneration, which is why many followers of his religion consider him a deity. 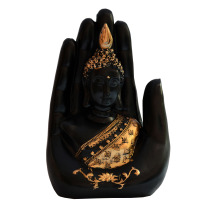 As such, Buddhists take to the Lord Buddha Statue because they act as a symbol and a representation of the Buddha himself. 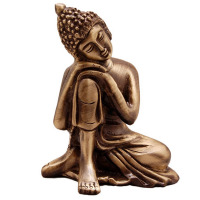 Technically and historically speaking, there is a lack of evidence regarding Buddha’s physical appearance; the religion itself only grew in popularity after almost 2 centuries of the deity’s nirvana. 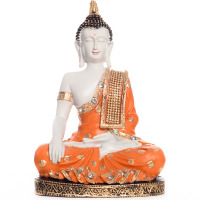 However, the representations and statutes that we identify Buddha with today are based on documentation and spiritual texts that have described the spiritual leader’s physical characteristics. 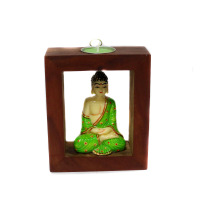 Today, a wide variety of Buddha statutes exist, with some being more valuable than others. 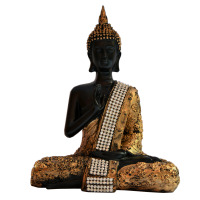 Like any other product in the market, when purchasing a Buddha statute, you want to ensure that you invest in a quality, long lasting piece of sculpture. 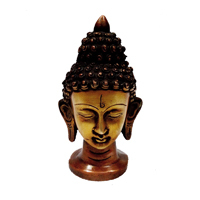 Lord Buddha sculptures can be used for home décor or they can be given as gifts for corporate events, weddings, and spiritual tokens. 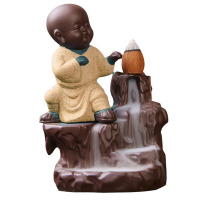 Reputable online marketplaces such as Boontoon.com should be your first choice when purchasing a statue. 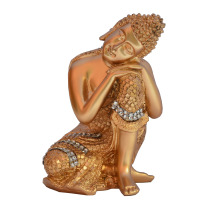 We have a wide selection of best price guarantee Lord Buddha Statues that range from Buddha with a t-lite candle that is perfect for creating the perfect spiritual and décor balance to beautiful brass metal mahatma Buddha head statues, sleeping Buddha, and statutes of monks that ooze of Southeast Asian traditions. 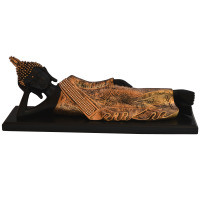 We also offer personalization of the statues, whereby you can add your name or company logo for a more tailored feel. 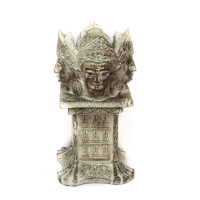 For the best quality statue, you should try as much as possible to purchase long lasting pieces that can endure the elements even when placed outdoors. 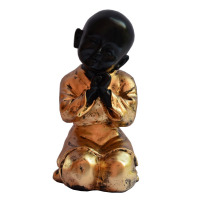 The statues can be made from a range of materials including brass and fiber, however, more recently, resin has become a material of choice for many artisans. 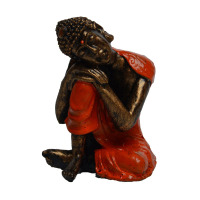 Resin is a remarkably durable material that has taken over the world of garden and home ornaments. 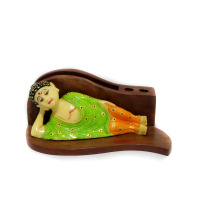 Resin handcrafts online have the physical appearance of a metal and the feel and texture of wood. It is a lot lighter than other materials such as brass or concrete. Additionally, the details on the statutes are more noticeable because resin material offers heightened detail capability. Caring for resin sculptures is easy, all you have to do is wipe down the surfaces to reveal a shiny and clean exterior.